This Envisat image captures a plankton bloom larger than the country of Greece stretching across the Barents Sea off the tip of northern Europe. Envisat acquired this image on 19 August 2009 with its Medium Resolution Imaging Spectrometer (MERIS) instrument. 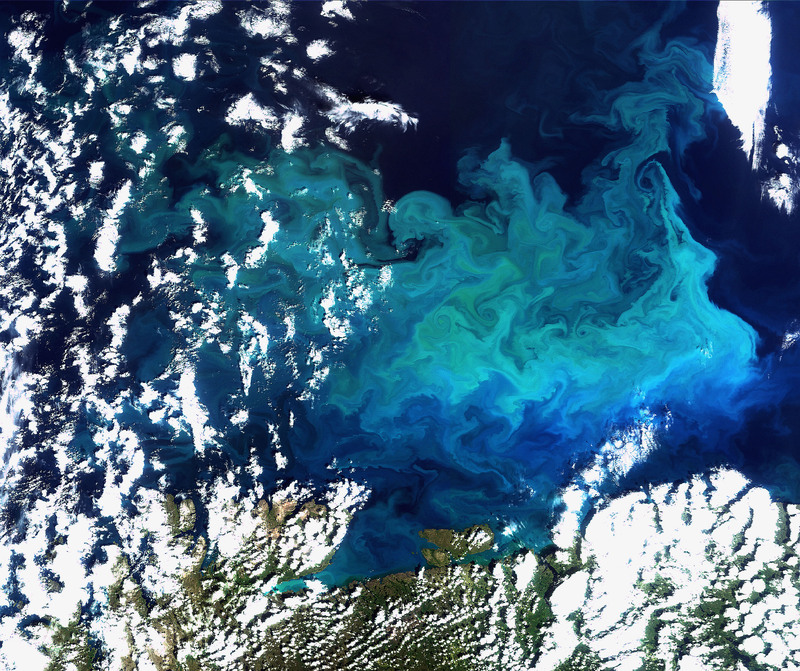 MERIS’s primary objective is to provide quantitative ocean-colour measurements, but the sensor has enough flexibility to serve applications in atmospheric and land-surface science as well.